Magic Porthole. A window into ocean and coral reef life with aquarium, NOAA, and other resources, games, and news. A Horizon International program. Magic Porthole takes you into the fascinating and fragile world of coral reefs and the vast oceans. Enjoy playing games as you make discoveries about the lives of frogfish, cleaning gobies, turtles, seahorses, and dolphins. Deepen your knowledge with exciting videos, games, and many resources from aquariums, museums, NOAA, and the Wild Dolphin Project, among others. Written by 75 authorities from the fields of climate change, epidemiology, environmental health, environmental engineering, global health, medicine, medical anthropology, nutrition, population, and public health. 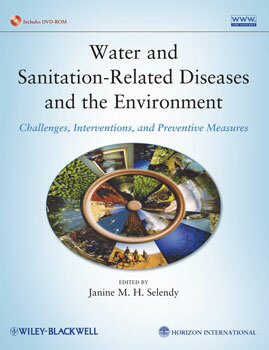 The following is an excerpt from what Dr. Paul Farmer writes in his Foreword to the new volume,Water and Sanitation-Related Diseases and the Changing Environment: Challenges, Interventions, and Preventive Measures: The work of experienced scholars, public-health advocates, and implementers, this new edition …offers a thorough review of some of the ranking problems of our time. Taken individually, these chapters constitute a critical compendium of ongoing debates among experts and a concise summary of more settled matters... It will be an authoritative reference for practitioners and trainees to deliver on the promise of water, sanitation, and health for all.” Paul Farmer, MD, PhD Kolokotrones University Professor, Harvard University, Chair, Department of Global Health and Social Medicine, Harvard Medical School Chief, Division of Global Health Equity, Brigham and Women’s Hospital, Co-founder, Partners In Health Recognizing the consequences of climate change now evident and that need to be anticipated in order to minimize foreseeable and unforeseen consequences, climate change is factored into the 2ndEdition’s updated and revised chapters and in new chapters. Click on an image. Click again to go to the feature. Also see links to the features below. Dr. Michael Moore talks about the North Atlantic Right Whale and what the future may hold for this endangered charismatic species. 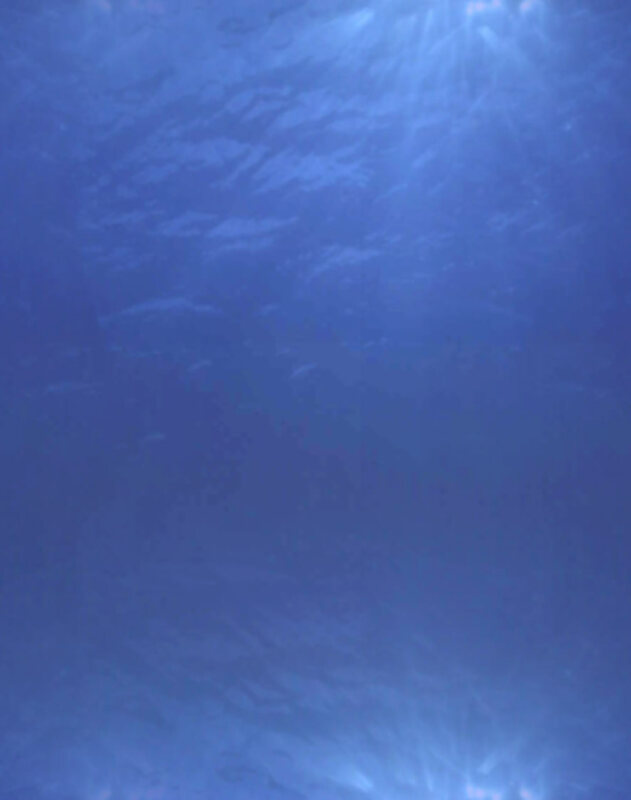 http://www.whoi.edu/. View more videos of the right whale at ARKive. See videos of Kit, a rescued sea otter. In her journey from orphaned pup to surrogate mom she goes to "Otter U" and learns what being an otter is all about. 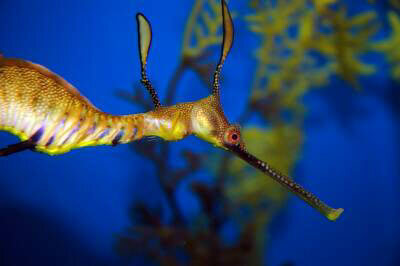 The Eastern Pacific Seascape spans Central and South America, covering a total of 2 million square kilometers. Magic Porthole invites you to share your ideas with us. 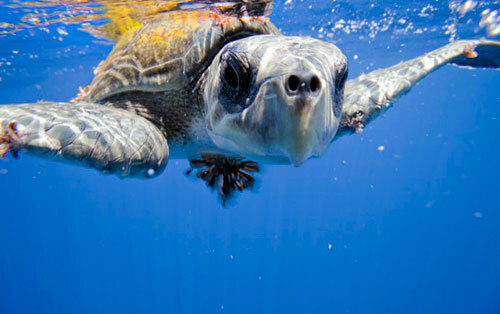 Your efforts to help save coral reefs may win you a prize as well as a chance to encourage others through your example. See "Contests" where can read about the winners of the first Environmental Achievement Coral Reef Contest. Click here to contact us. Video Clip: Corals from Outer to Inner Space Created for the Science on a Sphere highlights NOAA's activities in coral reef science. Magic Porthole cards are available for playing your favorite card games. Its 52 cards with mirror-image photographs of coral reef creatures match those of the “Magic Porthole Coral Reef Memory” card game here on the Web site where you can find exciting details of the reef creatures’ lives and video clips. Collaborations: Museums, aquariums and other entities are collaborating with Horizons Magic Porthole project including the American Museum of Natural History, Environmental Defense (ED) Oceans Alive project, Florida Keys National Marine Sanctuary, Museum of Science-Boston, The National Wildlife Federation (NWF), Natural Resources Defense Council (NRDC), the Smithsonian Institution Ocean Hall and Ocean Portal, the Field Museum, Monterey Aquarium, National Oceanic and Atmospheric Administration National Ocean Service, and many others. Horizon International works to find and advance solutions in the interconnected areas of health, the environment, population and economic well-being and, in recent years, is concentrating on addressing water and sanitation and hygiene problems and solutions. The non-profit NGO is based at Yale where it has been a guest of the University since 1992. From 1987 until 2006 it had an office at Harvard University. Multimedia programs including a solutions site at http://www.solutions-site.org, which is the organizations main web presence, an oceans website at http://www.magicporthole.org, and international TV programs, many of which can be viewed on YouTube at www.youtube.com/user/jselendy, other educational materials, lectures, conference participation and consultations are means employed to achieve its goals. 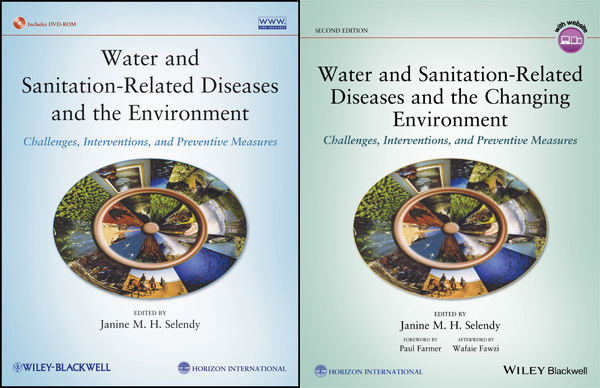 Horizon’s recent effort is the production of the book, Water and Sanitation Related Diseases and the Environment: Challenges, Interventions and Preventive Measures, a Wiley-Blackwell collaboration with Horizon International, for which Horizon’s head, Janine M. H. Selendy, is Editor. The book was written by 59 experts from the fields of public health, medicine, epidemiology, environmental health, climate change, environmental engineering, and population research. 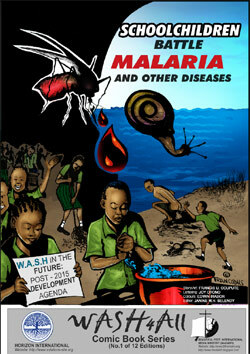 On September 16, 2014, Horizon International launched the publication of “Schoolchildren Battle Malaria and Other Diseases,” the first edition of “WASH 4 All,” a comic book series being offered for free throughout the world.